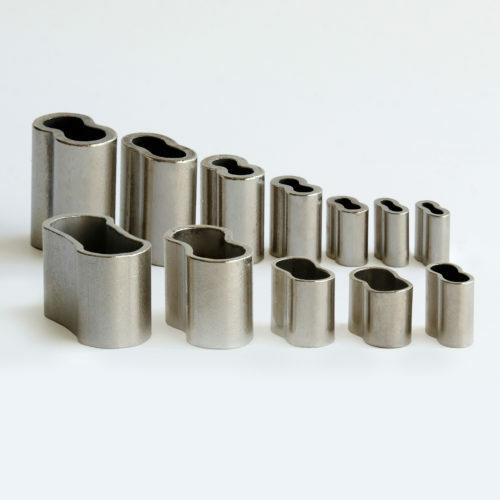 Nickel plated copper swages, also available in plain copper! Suitable for marine use or 1000’s of industrial and architectural uses. Rope swages to suit 4mm, 6mm, 8mm, 10mm & 12mm. Also available in plain copper! 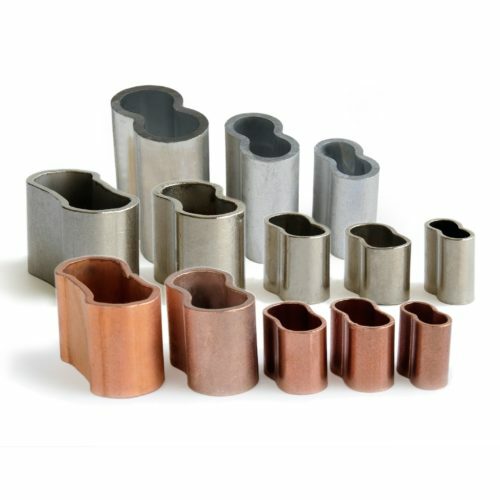 Range of swage tools available to suit every swage size! Wire cutters & accessories available to suit! Available in packets of 100, 500, 1000. The swages are annealed prior to nickel plating, this allows the copper to penetrate the strands of the wire. The copper becomes plasticised during swaging and therefore penetrates the structure of the wire. 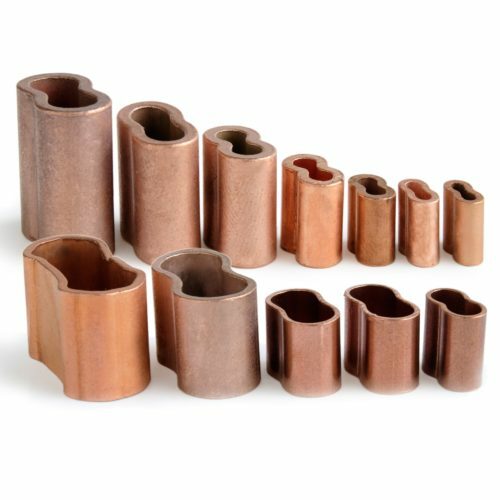 Plain copper swages, also available in nickel plated copper! Rope swages to suit 4mm, 6mm, 8mm, 10mm & 12mm. Also available in nickel plated copper! The swages are annealed then cleaned, this allows the copper to penetrate the strands of the wire. The copper becomes plasticised during the swaging process and therefore penetrates the structure of the wire.